Contact us at info@bluelapislight.org to host a performance or request a quote. Blue Lapis Light is listed on the Texas Commission on the Arts 2018-2020 Touring Roster. Blue Lapis Light creates original thematic dance works for special occasions. We are inspired by the client’s vision and seek to present engaging choreography that is elegant, stunning and dramatic. Our dancers’ grace and expertise will enhance and uplift any special event. 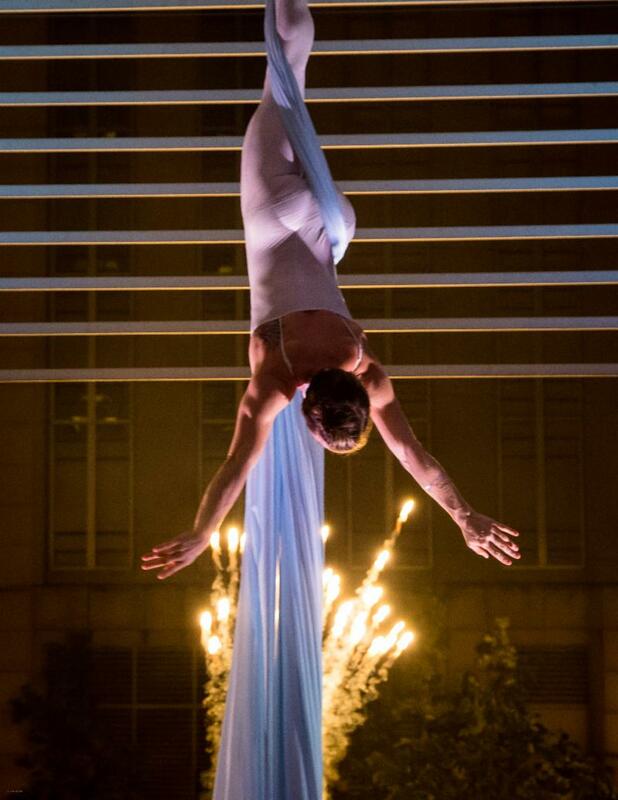 Our company performs for openings, fundraisers, weddings and private parties. We specialize in site-specific performances, designing and creating works for buildings, ballrooms and other inspired architecture. Each project requires an initial rigging and technical consultation. Large scale site-specific performances are costly. Each location has its own specifications and requirements, and fees are dependent on rigging design, performance fees and technical support.